This is a great looking matched set. I have many sets you may choose from. 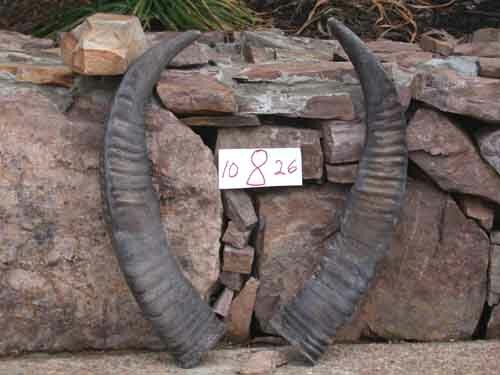 These beautiful old horns are approximately 26 long and 10 around the open end. They look great and their uses are only limited by your imagination. I used a set as door handles :) You can take this exact set or choose another set from pics, I have a lot of these. . I ship via UPS same day payment is received and shipping is $16.00 in the lower 48 states.